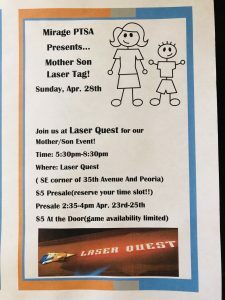 Our Mother Son Laser Tag Event is coming soon! 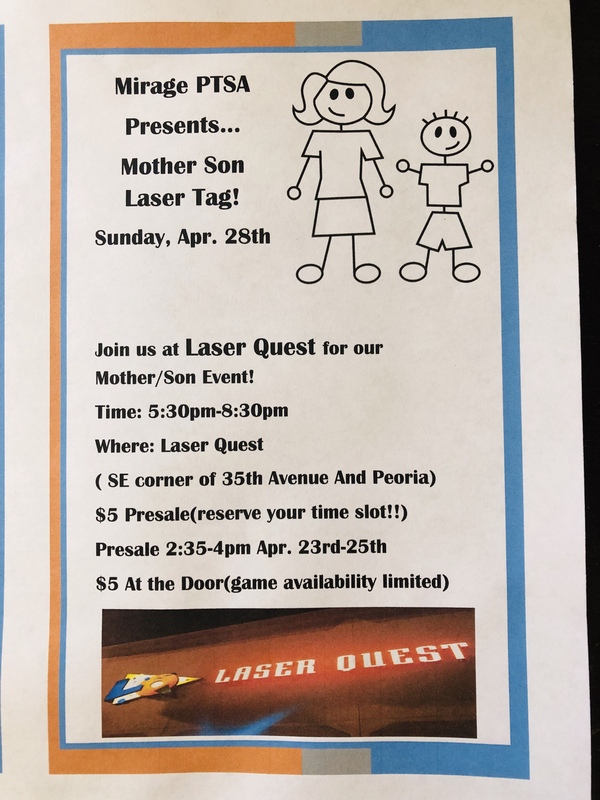 Sunday April 28th from 5:30-8:30pm at Laser Quest Phoenix! 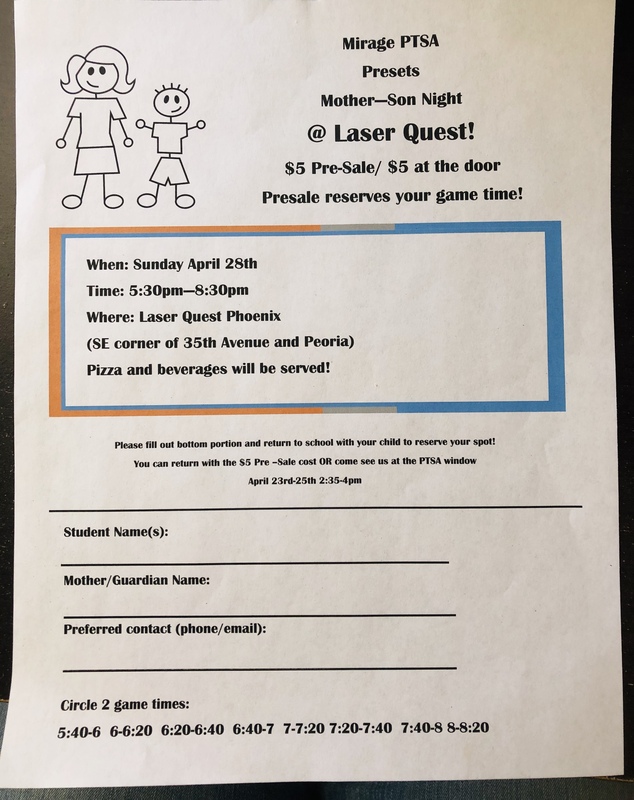 their Take Home Tuesday folders! 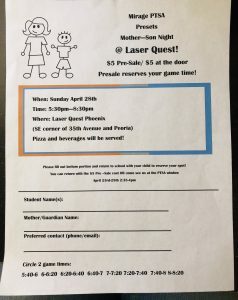 PRESALE is strongly advised to be sure you get the game times you want!